Have you considered buying a probate property in ? Probate properties might seem like a lucrative investment, however, there are some cons of buying probate property you need to be aware of before you make your purchase. This blog will tell you what you need to be aware of when investing in a probate property. The process of a home being sold through a probate court can take months, even years. Typically, there are many parties involved in the sale which inevitably leads to complications and delays. You will be dealing with lots of red-tape from the probate courts and attorneys. In addition, you might be waiting on heirs who may not agree about what to do with the property, what to sell it for, etc. Disagreements may arise, slowing down the process while the courts attempt to figure everything out. If the deceased party had financial debts and obligations, those must be settled as well, adding more time to the lengthy process. Every probate case is unique. However quite often you will be asked to make a 10% downpayment on the home along with your offer. If you are unable to secure financing for the balance or are unable to close on the deal for other reasons, you may lose your deposit. Also, even if you are the first in line, the real estate agency or executor of the estate may accept counter bids, which you will have to match in order to secure your purchase. Offers are not always challenged, but it is something you should be aware of. Always, always, always make sure you have a thorough inspection done on the property before you make your purchase. 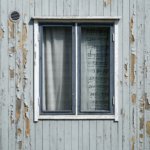 Oftentimes, homes that are in probate may not be in the best shape. Home improvements may have been neglected as the years went by, leading to issues with the home that can prove to be expensive and profit draining. Make sure the structure of the home is sound and plumbing and electrical systems have been maintained. If there are many fixes and upgrades for you to contend with, you might want to rethink what you want to offer for the property. Investing in a probate property can be a great investment as long as you know what to watch out for. As with any type of real estate investment, there are definite perks, however, make sure you are aware of the cons of buying probate property in before you make your investment. Do you want to learn more about the pros and cons of buying property in ? We can help you navigate the world of probate investing. Click here to fill out the form, or call our office now at (866) 858-7636. Whether you are looking to buy or sell a probate property in , , Fast Deal For My House is here to guide you through the process! Give our office a call today!